Tip-plasty is a procedure performed to correct the nasal tip. By refining the nasal tip, the bottom third of the nose can change the appearance of an individual in subtle yet profoundly dramatic ways. 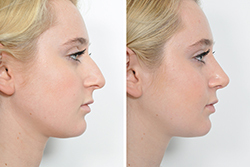 Raising the angle, refining the width and reducing some of the fullness of the nose are common objectives of this kind of nose reshaping. It can be performed to reduce the ‘tip’ of a nose and bring it into proportion with the rest of the features of the face. Who is a suitable candidate for tip-plasty surgery? Those people whose tip of the nose does not balance with the nostrils and nasal bridge are good candidates. 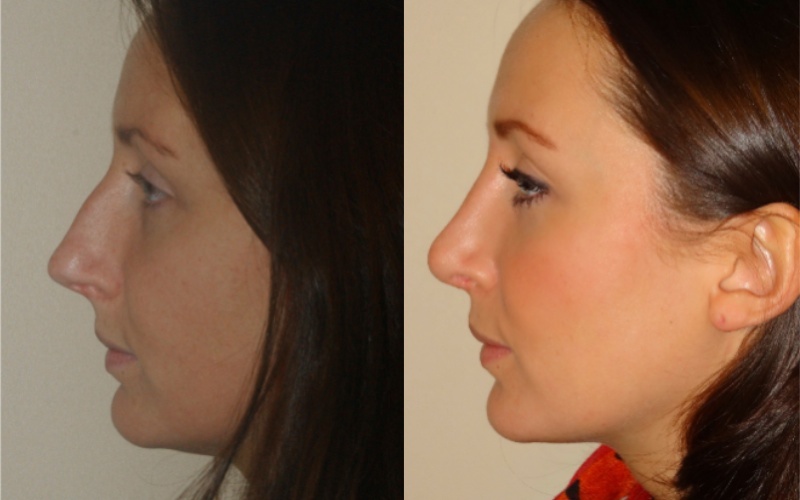 Tip-plasty helps proportion the nose to the face. How long does a tip-plasty last? Once swelling has subsided (which may take some months) permanent final results will be seen. They should continue this way unless you injure your nose. How is the tip-plasty procedure performed? Depending on the problem, it can be performed using incisions that are all located inside of the nose (closed approach), or with intranasal incisions combined with a small incision on the outside of the columella (open approach). Most patients go home with only special tape on their nose with a little bruising and discomfort. The majority of any swelling and bruising subsides within the first week. Areas of sensitivity or numbness will slowly resolve, however the tip of the nose will feel stiff and very solid, meaning the healing process is not complete. This may continue for many months following surgery. How can I hide the signs of the tip-plasty surgery? Any stitches are usually hidden within the nose, and you may use camouflage cosmetics including concealer, contour shadow and colour corrector to help improve your appearance. How long will it be before I can get back to my normal life? A 3-7 night stay is recommended in Turkey following tip plasty surgery. Most patients can return to work within one week however the final results of your surgery will take longer to be seen. Can tip-plasty surgery be performed without scar? Scars are part of the healing process, however depending on the procedure you have had; your scars may be inside the nose. Even outside scars are small and these also will fade with time, becoming virtually invisible.